There is a small guide named « 40 Great Short Walks », published by Trails SA, and it has good ideas and is well made. 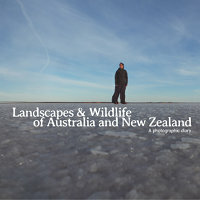 You can get it at the Adelaide Visitor Centre or just download it online: PDF, 10 MB. Most of the walks in the guidebook are around Adelaide or in the south of SA, but you’ll find some walks around the Flinders Ranges too. The guidebook is well written, with different kind of walks, most of them are easy to medium, and tracks are well signed and easy to access.